Amadou Balake is certainly the most famous singer that the small landlocked West African country of Burkina Faso (Upper Volta when it was a French colony) has so far produced. Balake died last year at age 70, and this disc captures his final recording sessions. 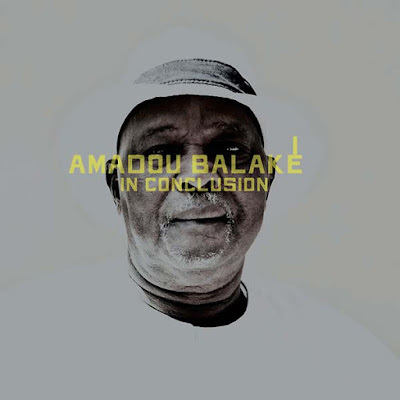 Balake’s flexibility was his greatest strength: he lived all over West Africa, in France and even in New York in search of the best artistic opportunities, and he excelled in a variety of genres: Mande traditional music, salsa, Afro-funk, blues and local Burkinabe rhythms. All those styles come into play on this session, captured live-in-studio in Ouagadougou by journalist Florent Mazzolini with a band a generation or two younger than him, plus his long-time collaborator, guitarist “Haute Tension.” Balake never sounds like the oldest man in the studio – his voice is powerful and precise throughout. The highlight here has to be track 9, a song so closely identified with him that it gave him his adopted surname (his given surname is Traore), but one that he somehow never recorded until now. He digs into the funky grooves of 2 and 5, soars on 1, and rides the indigenous rhythm of 8. It’s the voice of a master.